QR CODES: Make your printed marketing collateral interactive using a QR CODE. Make all your hard supports interactive by printing a QR CODE on them to direct readers to your website from their mobile! Picture of a QR code, 2D barcode / QR codes make your hard supports interactive. *Connect to an online video, etc. For added security, the user is generally asked to confirm the action before it is executed. TUNE YOUR TAG! customise your QR CODE: Desjeux Créations is launching custom QR codes to take your mobile marketing campaign to the next level! At Desjeux Créations, we're using our design and technology expertise to launch " Tune Your Tag", a new solution offering businesses a personalised design for their QR codes (2D barcodes/tag barcodes). QR codes take on your brand's colours for your marketing and advertising campaigns! QR codes are becoming commonplace in mobile marketing and advertising campaigns, mainly because they can accommodate a multitude of applications across various media. With this new technology, brands all over the world can customise their tags to match their brand identity. We can even include the company's colour logo! Only Desjeux Créations can certify and test these "logo-ed" QR codes to guarantee they can be decoded by all mobile phones. 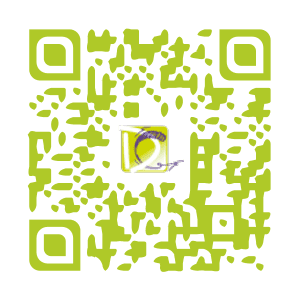 CONTACT US TO DISCUSS YOUR QR CODE CAMPAIGN on + 33 (0)2 41 47 02 75 or use our quote request form. Contact us to enhance your marketing collateral with this new interactive feature which offers convergence from hard supports to the web easily via a smartphone. Each QR code linked to a URL is valid for one year from the date of activation. It's possible to change the URL linked to a QR code which has already been printed and redirect the reader to a new web page (URL) without reprinting the document. We can change the URL in our QR code database, so that when the code is scanned again, your readers are automatically redirected to the new URL from their mobile (fee for changing URL). Once the QR code has been created it can be used unlimitedly on all your printed marketing collateral. Each QR code linked to a Contacts Pack is valid until 2020. Changes to contact details are made in our QR code database, so that when the code is scanned again the contact details are automatically updated on the mobile. 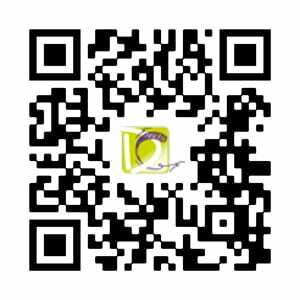 The QR code can also be viewed in an email signature, and does not have to be printed out. 42% of French people already use mobile barcodes, and 33% use them very frequently. The French scan mobile barcodes to get information about a brand or an advert (76%), to get the address of a shop close by (52%). In 31% of cases, scanning a mobile barcode results in a purchase, either in a traditional shop, on the internet, or immediately on their mobile. Online survey conducted by GfK from 23 to 27 February 2012, on 1,000 French people aged from 18 to 64, representing the French population with internet connection, quota sampling. Almost 10 million users now possess a mobile phone compatible with a QR reader. And almost 70% of smartphones* are compatible with QR code solutions. *Smartphones are those equipped with an Android, BlackBerry, iPhone, Symbian, Windows Mobile, Palm or Linux OS. They represent 10% of operator terminals. Mobile providers have adopted the QR code standard, and QR code readers are now a native feature on a growing number of terminals. The objective for mobile phones is twofold: Increase the number of QR code compatible terminals (so that users can download the reader). Include a native reader in more and more telephones (the application is automatically included on the phone without the user having to do anything). WHERE ARE QR CODES USED? It's increasingly common to see QR codes on everyday items: magazines, books, adverts, urban fixtures... For example: There are dozens of QR codes across the pages of the e-book Le Sens des Choses, by Jacques Attali. Interviews, films of performances, annexes: each QR code enriches the written content by illustrating it, completing it, or inviting the reader to react. There is no limit to the number of QR codes that can be included on a printed support, and each one can be linked to a different URL to fit your needs.